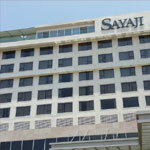 Hotel Vrishali Executive 39, A/2 , Tarabai Park, Kolhapur - 416003, Maharashtra, India. 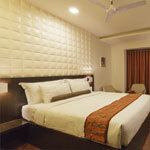 Hotel Vrishali Executive is a Business Hotel not only in Kolhapur (Maharashtra, India). 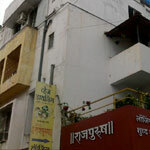 Hotel Rajpurush the name itself depicts the service & treatment given to our estermed guests. 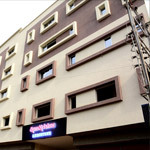 Hotel Rajpurush located centrally in Kolhapur(Maharashtra,India) has well appointed twin bedded rooms with modern amenities. 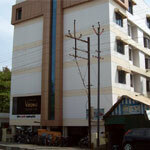 Hotel Ramkrishna Executive is a centrally located Hotel in Solapur (Maharashtra, India) . Hotel City Park Char Hutatma Chowk, Solapur, Maharashtra, India. 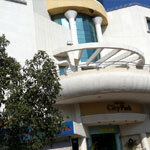 Hotel City Park is a 3-star centrally located Hotel in Solapur (Maharashtra, India) having 26 rooms.